Voted as Wisconsin's Best Concession in a State Park!! Our fully stocked camp store offers groceries, camping supplies, hardware, drugstore items, beach toys, clothing, ice cream, snacks, cold drinks, ice, and fresh morning coffee. Park information and maps can also be obtained at the store. As Camp Store customers put it, "If they don't have, you don't need it!" Our full service snack bar is open early June through Labor Day. 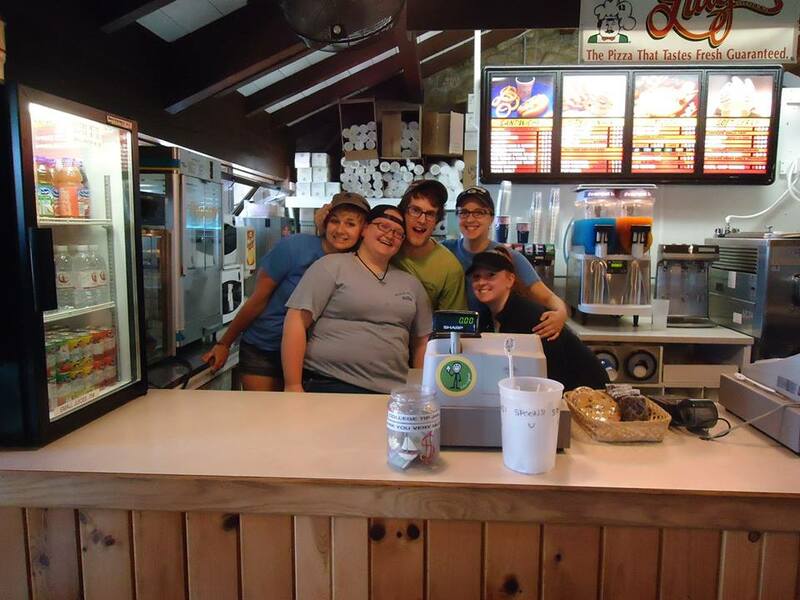 The snack bar is located directly on the beach and serves sandwiches, pizza, burgers, soft serve ice cream, nachos, cold drinks, sundaes, French fries, and a host of other snacks. Eat in or enjoy your treats on one of the many picnic tables overlooking the beach.